Both Singapore and Sweden are using technology to overcome various challenges such as healthcare and urban mobility. An all-women panel comprising speakers from both countries highlighted how collaboration and diversity are key to fostering a culture of innovation. 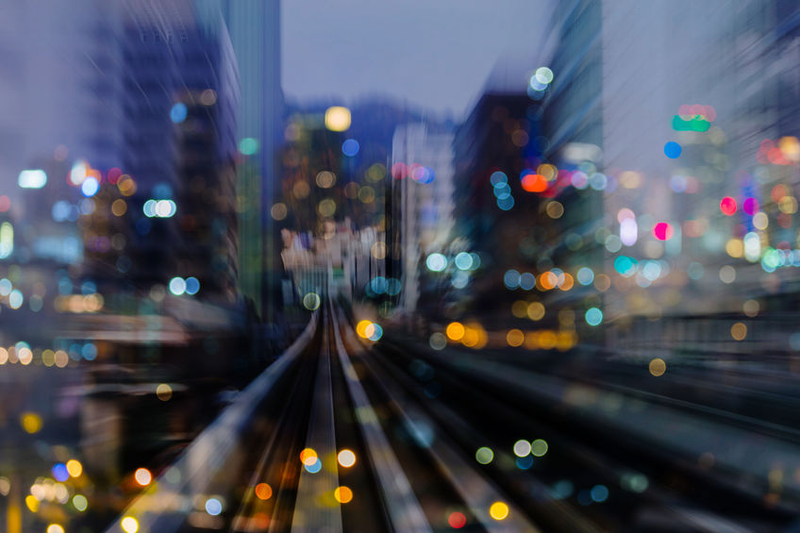 Despite being more than 10,000 kilometres apart, the small city state of Singapore and the Scandinavian nation of Sweden share many similarities in their push towards becoming smart cities. From a strong focus on innovation in healthcare to the use of autonomous vehicles, both countries are leveraging technology to solve problems and improve the lives of citizens. “[The people of Singapore and Sweden are] generally optimistic and welcoming to new technology and new solutions,” said Ms Darja Isaksson, director general of Sweden’s innovation agency Vinnova during a dialogue titled ‘Singapore and Sweden: Innovation Collaborations and Diversity in Tech,’ presented by SGInnovate in partnership with the Embassy of Sweden in Singapore. 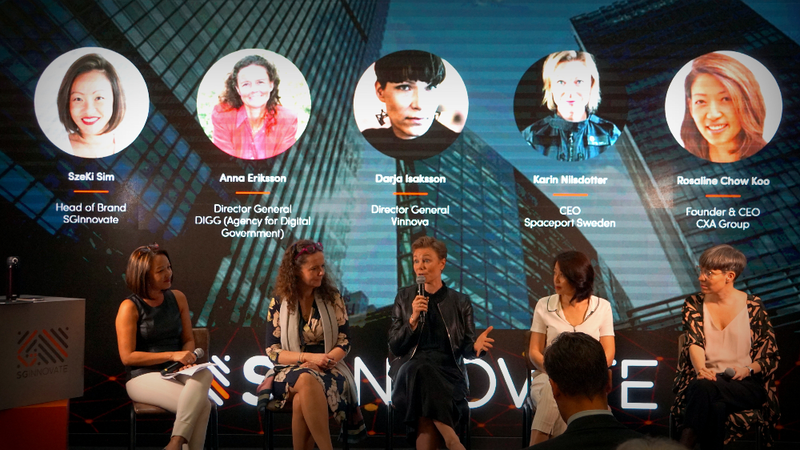 Joining her on the all-women panel were Ms Karin Nilsdotter, future astronaut and CEO of Spaceport Sweden; Ms. Rosaline Chow Koo, founder and CEO of CXA Group; and Ms. Anna Eriksson, director general of Sweden’s agency for digital government, DIGG. The panel was moderated by Ms. Sim SzeKi, head of brand at SGInnovate. “[Singapore and Sweden] have a long tradition of working together on really sensitive issues like defence, and I think therefore we can be a good match working together on cybersecurity and other important things,” Ms Isaksson added. Given the transboundary nature of emerging threats—including cybersecurity and climate change—cooperation between countries is more important than before. But even as governments collaborate on policy and regulation, businesses can also share ideas and innovations across geographical borders. In this respect, the speakers emphasised that Singapore can be a springboard for businesses to tap into the Asian market, while Sweden can serve as base for companies seeking to expand into the Nordic region. To strengthen the link between these two ‘gateway’ countries, the Nordic Innovation House in Singapore was officially opened on 22 February 2019 with a mandate to help connect businesses in both nations. However, when venturing overseas, it is imperative to understand the local market, said Ms. Chow. Trying to ‘copy and paste’ solutions wholesale from one region to another is foolhardy, she explained. Drawing from her own experience as a business leader in the healthcare sector, Ms Chow gave the example of how “Asians get chronic diseases at a lower BMI [than their counterparts in Europe or the US]” and that the chronic diseases manifest ten years earlier. Hence, healthcare interventions that are effective in the West may simply come too late if implemented without adaptation to Asian populations. Ms Eriksson also noted that collaborative innovation, especially on the “complex stuff” like deep tech, is key for businesses and governments to remain relevant, and that both the public and private sector ought to partner with each other if they want to achieve future success. When forging partnerships, locally or abroad, the speakers also recommended keeping diversity in mind. No individual or culture has a monopoly on ideas, so being open and inclusive matters. “To me, diversity is very much about diversity in perspective, diversity in skills and training… diversity in cultural backgrounds… I think these things are huge drivers of innovation,” said Ms Isaksson. This sentiment was echoed by Ms Sim, who added that collaboration between countries also helps in ensuring diversity, opening up different markets and forging connections across ecosystems. “I’m very much looking forward to what we can create and shape by working together,” Ms Nilsdotter concluded.